THE STORY - Lee Hayden is a Western icon with a golden voice, but his best performances are decades behind him. He spends his days reliving old glories and smoking too much weed with his former-co-star-turned-dealer, Jeremy, until a surprise cancer diagnosis brings his priorities into sharp focus. He soon strikes up an exciting, contentious relationship with stand-up comic Charlotte, and he attempts to reconnect with his estranged daughter, Lucy, all while searching for one final role to cement his legacy. THE GOOD - Sam Elliott's heartbreaking and restrained turn in the lead role. A poetic script by Brett Haley & Marc Basch with fantastic human interactions. THE BAD - The film is a bit light on plot despite being rich in character. “The Hero” is a poetic approach to a very meta story that we have seen time and time before. With a tour de force performance from Sam Elliott, the film takes quite an interesting approach that fades in substance rather quickly. Despite incredibly heartfelt and emotional scenes, the film does not have much to offer in terms of plot. But if you’re one for dialogue-driven films that revolve solely around character interaction, then Brett Haley’s “The Hero” is for you. The story of the “The Hero” revolves around a man named Lee Hayden (Sam Elliott), a once rather popular Hollywood movie star who has since fallen out of stardom. Since his fall from grace, he’s been taking on simple gigs like barbecue sauce commercials. Clearly disgruntled for the life he has now made for himself, Lee resorts to smoking weed and watching old movies with his friend Jeremy (Nick Offerman). Early into the film, we learn that Lee has developed pancreatic cancer, forcing him into an everlasting battle with his mortality. The character interactions within "The Hero" are lighthearted and heartfelt making for quite a joyous viewing. The way that Lee interacts with the many other characters feels very human and realistic. Even when the interactions start to lean more towards the depressing and melancholic, the interactions still hold truthful and powerful. The dialogue shared between the characters is smart as well, making for quite a good screenplay. The film is emotional on all levels and makes you feel every emotion from joy to sadness and everything in between. Sam Elliott is absolutely stellar in this film. I would go as far as to say that this film is the greatest performance of his career. Elliott carries quite a bit portion of the film on his back but the supporting performances are actually quite stellar as well. Nick Offerman gives a contained and nuanced performance as Lee’s reminiscent best friend. Krysten Ritter gives a powerful performance as Lee’s daughter who is resentful towards her neglectful father. Laura Prepon gives a sleek and poetic performance as Lee’s love interest in the film. Prepon’s character seems to the be solace that Lee is searching for in his life. She offers him love and companionship which is an absolute joy to watch the chemistry shared between the two of them. The complex aspects of their relationship are only addressed for a brief moment in the film before they just straight accept what the two of them want. At first, there is an unspoken discomfort about the two of them and what they want from each other. However, as the film progresses, Lee accepts that the world is changing and he must change with it and this includes accepting his new relationship with Laura Prepon’s character. At first, Lee hopes him returning to his former glory will give his life meaning again. He will feel like his old self again and hopefully return to his former happiness. We start learning that he wants to return to fandom through these dreams that he has. He starts having dreams where he sees himself in a western film, which is the reason he’s famous anyways. He hopes to return to the man he once was through the redemption of doing one more project in his life. This difficult chase towards purpose falls short however with wanting to do another film and he finds himself lost and alone again. This is when he and Prepon’s character rekindle their romance, creating a whole new meaning to the relationship we saw in the first half of the film. “The Hero” is a complex and poetic film about Lee Hayden and his struggle with finding purpose within life and his battle with mortality. Through brilliant character interaction and a beautifully written script, Brett Haley delivers another meaningful and heartfelt film. “The Hero” is a powerful indie film with a tour de force performance from Sam Elliott and even some truthful and powerful performances from the supporting cast. 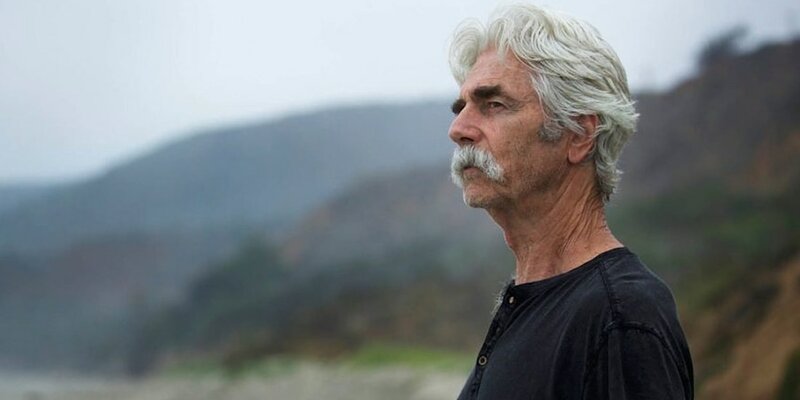 “The Hero” may offer Sam Elliott a chance at a long overdue Oscar but until then, we will just support the incredible film and incredible performance.